Are you interested in seeing Sibenik face to face and experiencing something memorable and special? Every city has two sides, the public and the hidden face. The public side of Sibenik can be accessed by all tourists in the unique cathedral of St. James, medieval palaces and the great pictures of the city fortresses. The hidden side of the city is only open to tourists who are willing to travel back in history. This makes Sibenik one of the greatest cities worth visiting in Croatia. The following are some interesting places that will make you fall in love with this small city. In as far as you might want to avoid this great treasure, its allure will keep following you on every photo and to every corner that you pass. From the Waterfront to the sea to the city of fortresses, you will keep seeing the photos of this great cathedral. When passing through the old town, you must pass through the cathedral. The cathedral was built in the 13th century. It took about a century to complete its construction. The building was designed by George Dalmatian. Do not forget to look at the stone portraits of apses on the outside walls as they are awesome! During the 10th century, Sibenik was fortified and was located on top of a hill. It oversaw the intersection of Krkas and the sea channel. After the 11th century, as the population grew, the town expanded uniformly. The oldest street within the city is the Dalmatian Street, where the cathedral builder lived. 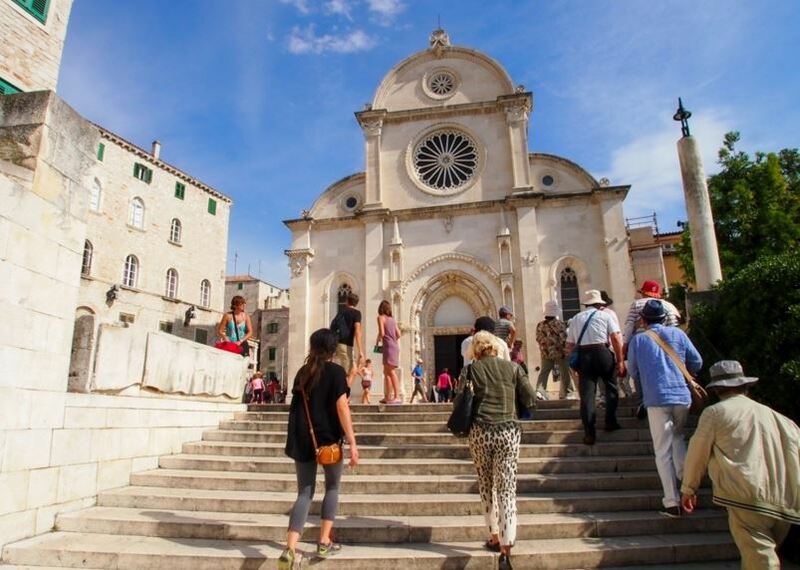 It is thought that Sibenik was one of the most modernized societies during the 11th century as it could accommodate about fifteen thousand inhabitants. You will be surprised to see how the city has been preserved. To date, Sibenik has the largest old city that is still intact in the whole of Croatia. Before leaving this wonderful city, ensure that you visit the Dalmatian Ethno Village. You will get an insight into how the locals used to live in the past through the centuries. The collection of traditional stone houses will complete your quest into how the social structures were during the 10th to 15th centuries. You will be able to watch how traditional foods are prepared using the old crude methods. Other highlights of visiting the village include seeing the operational windmill that is estimated to be more than 100 years old. These are just some of the reasons why tourist from all over the world visit Sibenik each year, especially during the summer. No surprise that Sibenik is among the top property hotspots in Croatia and the real estate market in Sibenik is booming.